With all the talk of change coming out of the campaigns, can we expect big money to lose its grip on Washington? Bill Moyers interviews NEW YORK TIMES investigative reporter and Pulitzer Prize-winner David Cay Johnston who says America's system has been rigged to benefit the super-rich. 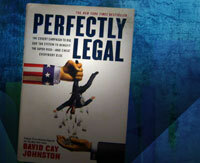 Johnston is the best-selling author of PERFECTLY LEGAL: THE COVERT CAMPAIGN TO RIG OUR TAX SYSTEM TO BENEFIT THE SUPER RICH--AND CHEAT EVERYBODY ELSE. Johnston's latest book, FREE LUNCH: HOW THE WEALTHIEST AMERICANS ENRICH THEMSELVES AT GOVERNMENT EXPENSE AND STICK YOU WITH THE BILL, explores the power of lobbyists and wealthy donors to manipulate government policies such as regulation, taxes, and subsidies to enrich themselves at tax-payers' expense. There are lots of problems with the government. I've spent my life exposing all sorts of problems with government. But government is fundamentally essential. Government is what creates for us civilization. We created this country so that we could be free, so that we could pursue our lives the way that we want to pursue them. And wealth is a byproduct of that. But the government is being turned into a vehicle not to ensure our liberties and create a level playing field but instead into a vehicle to take from the many to enrich the few. Born in San Francisco in 1948, David Cay Johnston began his journalism career in 1968 by talking his way into becoming the youngest reporter at the SAN JOSE MERCURY AND NEWS, where he covered local governments, student radicals, and land use. After a three-year stint as an investigative reporter with the DETROIT FREE PRESS, Johnston spent twelve years with the LOS ANGELES TIMES reporting national news, entertainment news, the Los Angeles Police Department and sundry other topics. Beginning in 1988, he reported on the casino industry for the PHILADELPHIA ENQUIRER and briefly served as assistant business editor before joining the NEW YORK TIMES to cover taxes, tax evasion, and the Internal Revenue Service. Johnston won the 2001 Pulitzer Prize for Beat Reporting "for his penetrating and enterprising reporting that exposed loopholes and inequities in the U.S. tax code, which was instrumental in bringing about reforms." He had previously been nominated in 2000 and in 2003 was again nominated both for Beat Reporting and National Reporting. That year, he also received recognition by Investigative Reporters and Editors with a Book of The Year award for PERFECTLY LEGAL. Published on January 18, 2008. Wealth and Income Figures in the U.S.
"Report Says That the Rich Are Getting Richer Faster, Much Faster," David Cay Johnston, THE NEW YORK TIMES, December 15, 2007. Johnston evaluates the numbers of a new study from the Congressional Budget Office. "NEW DATA SHOW EXTRAORDINARY JUMP IN INCOME CONCENTRATION IN 2004"
Center on Budget and Policy Priorities� write-up of rising wealth gap. "Income Gap Is Widening, Data Shows," THE NEW YORK TIMES, David Cay Johnston, March 29, 2007. More from David Cay Johnson at THE NEW YORK TIMES. 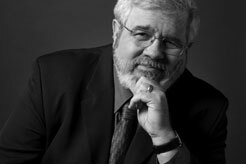 David Cay Johnston on How the Rich Get Richer, NPR, January 3, 2008. Q and A with David Cay Johnston, FORBES, February 12, 2004. Interview With David Brancaccio on NOW, February 13, 2004. "Atlantic City Casinos Reap Anti-Blight Funds," THE NEW YORK TIMES, Serge F. Kovaleski, January 28, 2007. "WORLD NEWS: Investment industry in US tax dog-fight," Eoin Callan, FINANCIAL TIMES, Nov 01, 2007. HARVEY J. KAYE: TIME AGAIN FOR TOM PAINE? The historian and author of THOMAS PAINE AND THE PROMISE OF AMERICA discusses the role of whom he calls "the greatest radical of a radical age." Bill Moyers sits down with journalist Craig Unger, contributing editor of VANITY FAIR and author of the best-selling HOUSE OF BUSH, HOUSE OF SAUD and, most recently, THE FALL OF THE HOUSE OF BUSH, who offers analysis on President Bush's recent trip to the Middle East. A Bill Moyers essay on Martin Luther King, Jr., LBJ, and the Civil Rights Act of 1964.